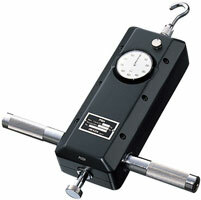 Mechanical Force Gauges for rugged and dependable push-pull force measuring. We offer a wide range of capacities to cover a large variety of force measuring applications. 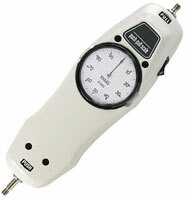 The Model U Force Gauge is an accurate (±1% of full range) mechanical compression measurement instrument. Its slim-line design has repeatedly proven valuable in installations where space is at a premium. 6 capacities ranging from 25 lb x .25 lb to 5,000 lb x 50 lb and 4 capacities ranging from 10 kg x .1 kg to 500 kg x 5 kg. Available in capacities from 100 lb to 10,000 lb or 25 kg to 5000 kg.